Home > Pre-Owned Vehicles > 2016 Honda Odyssey TOURING - Low KM's! 2016 Honda Odyssey TOURING - Low KM's! Low KM's! Nav! Leather! DVD System! Honda VAC! Moonroof! Heated Seats! Backup Camera! 7yr/160,000 Warranty, Nav, Honda DVD Ultrawide Rear Entertainment System with a 16.2-inch display, 8 Passengers, Leather-Trimmed Head Front Seats, Honda VAC, Cool box, 650-watt Premium Audio System with 5.1 Surround system, Blind Spot Information, Forward Collision Warning, 18" Aluminum-Alloy Wheels, Push Start, Integrated 3rd-Row Sunshades, HDMI input jack, Auto-Leveling Headlights, Power Tailgate, Smartvent side airbags, Three-row Side Curtain Airbags!! This is an amazing 2016 Honda Odyssey Touring!!! The ride of your family’s life!! The Odyssey was built to change your perception of a minivan! The refreshed exterior will catch your eye with its sleeker, more sophisticated styling. The handling is awesome and you’ll get the most innovating seating configurations!! Perfect for your trips with all of your friends or family!!! Cylinders: 3.5L V6 Cylinder Engine - 6 cyl. 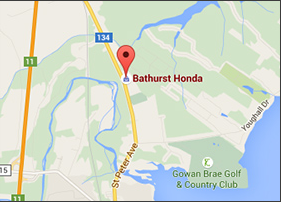 Are you interested in the 2016 Honda Odyssey TOURING - Low KM's! ?